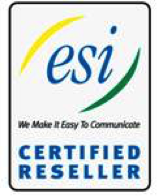 Meet H&R TELEPHONES, a certified and trusted reseller of telecom equipment including VoIP and legacy business phone systems and security solutions to small and medium-sized businesses in the Delaware Valley. The growth and success of your business depends on your customers’ and prospects’ ability to get in touch with you when they need to. Missed telephone calls, faxes, emails and voicemails mean lost business opportunities or worse, unhappy clients. Legacy phone lines and individual voicemail boxes are quickly being replaced by hosted cloud-based phone services. © 2017 H&R Telephones Inc. All rights reserved.